Vade Mecum is an integral piece of the history of the Sauratown Mountains. Beginning in the mid 1800’s and lasting through the second decade of the 20th century, there were three major mineral Spring Resorts near Hanging Rock State Park. The last one standing is one of three hotels that were built at the Vade Mecum Resort. 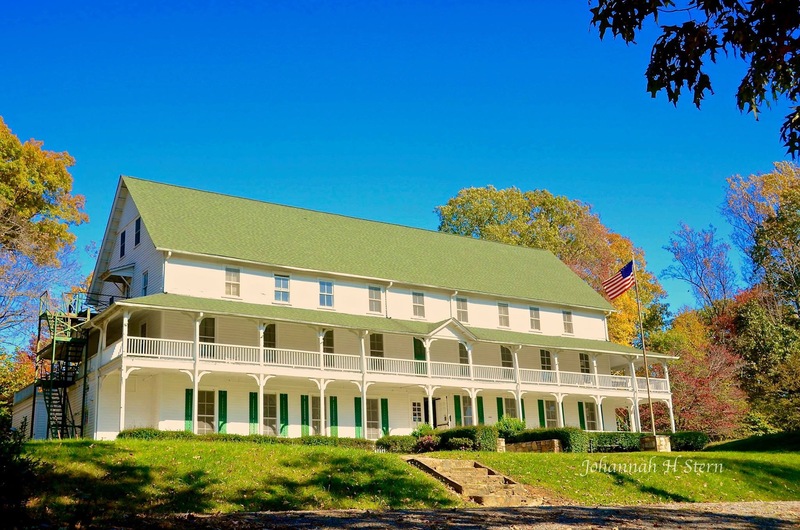 While Moore Springs Resort, and Piedmont Springs Resort are long gone, the 1902 hotel at Vade Mecum is still standing and is in remarkable condition! This is because it has been in continual use up until 2014, at which time the property was transferred to Hanging Rock State Park. Not only is the old hotel still on the property, but also standing are a 1929 Olympic Swimming Pool, various cabins some of which date to the 1930’s, a beautiful wooden auditorium with a stage from 1929, a stone episcopal chapel begun in 1939, the Mineral Spring house, and various other buildings including a horse barn. The Friends of Sauratown Mountains opens the property the first weekend of every month from April to November. As well, the gorgeous property can be rented out for weddings, reunions, family retreats, company parties birthday parties and so on. It is a stunning Event Venue – and all monies go toward the renovation of the property. We invite you to come the first full weekend of any month from May – October from 9am-5pm and take our historical tour, walk the trails, see the old dam with its beautiful buttresses intact, and walk down a lovely trail to the Mineral Spring itself. Follow our Facebook page to keep up to date with this vital piece of Sauratown history. The Friends of Sauratown Mountains (FSM) was formed in 2010 as an organized Chapter of the Friends of State Parks of North Carolina (FSP). . Friends of Sauratown Mountains is incorporated as a non-profit corporation under the laws of the State of North Carolina. We are dedicated to the preservation, enhancement, maintainance and education of Pilot Mountain State Park, Hanging Rock State Park, and the Sauratown Mountain Range.